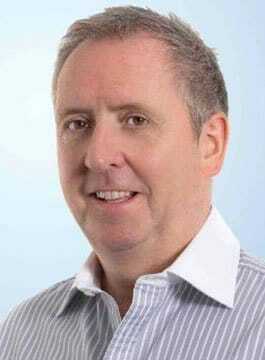 Martin McCourt is the former CEO of Dyson. Raised in Glasgow, McCourt finished school with the aim of becoming a cartographer. He left Scotland to train in military mapping with the MoD at Feltham, before moving into sales and taking up a job with Mars at the age of 20. Thereafter, he held a number of positions with various firms, including general manager for the audio visual division of Toshiba, UK national sales manager for Duracell, and four years as the managing director of Marcus Bohn Associates. Prior to joining Dyson, McCourt spent two years as international director and UK general manager for Pelikan, the German manufacturer of writing, office and art equipment. Martin joined the Dyson Group, the ideas to market-leading consumer products maker in 1996. As CEO, he devised and implemented a strategy that transformed the company from a single product, single market producer into one where 80% of the business comes from 52 markets around the world. In that time he increased UK skilled jobs, grew profits tenfold and enabled James Dyson to keep on inventing. In 2012 Dyson hit £1bn revenue for the first time. McCourt’s role in shaping Dyson into a modern icon of British innovation landed him the accolade of the 2010 Orange Business Leader of the Year at the National Business Awards.